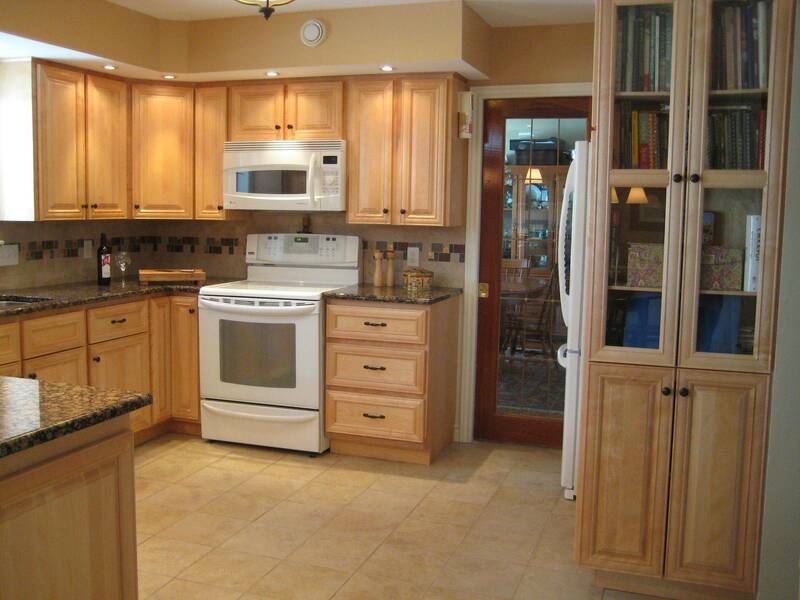 A Kitchen Cabinet Refacing makeover is done by painting or refinishing your cabinetry through our replacement program. Picture to bottom left, has had only the doors replaced. A complete makeover like this example can put your savings towards a better quality countertop surface or flooring. The cabinet resurfacing project can turn your basic looking kitchen into a custom made kitchen with an average time of 3-5 days to complete. Want to see a kitchen cabinet painting project in Halifax? 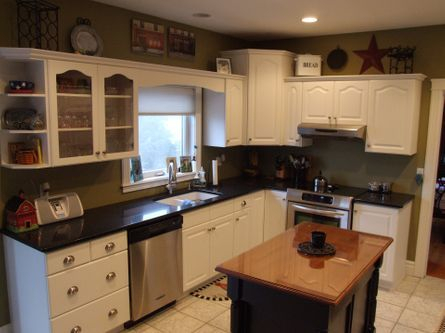 These cabinets were painted then re-doored. A simply easy DYI project the customer completed them self over a two weekend period. With many of my projects, the customer's budget is met with extra money left over to put towards new appliances. Each home owner knows that what sells the house, is the kitchen and bathroom. 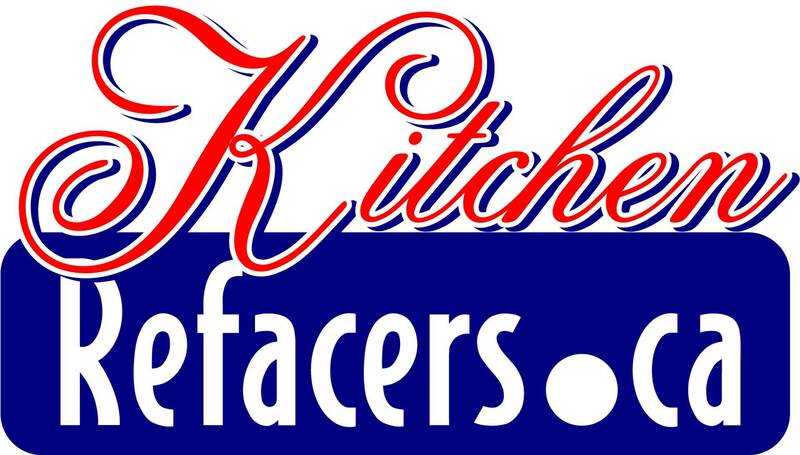 Here is a bit of information to know when we talk to you about kitchen resurfacing. There are two basic types of cabinet construction. They are frame and frameless kitchen cabinetry. As you can see there are no hinges showing on the doors. With this style of cabinetry we can cover the exposed ends and the front edge of each cabinet box. There is a bit more flexibility when refacing this style of cabinetry. This style of cabinetry has the cabinet boxes made up as individual components therefore modifications can be easily completed. All that has to be done is unscrew the cabinet from the wall, cut down the cabinet and reinstall. This customer saved $8500.00 and up-graded to a Solid Surface Countertop. The Frameless alternative style cabinetry started to become popular in the mid 80's. Due to increase home construction cost. .
As you can see there are expose hinges showing on the doors. With this style of cabinetry we have to cover more of the frame with our veneers or vinyl laminates. 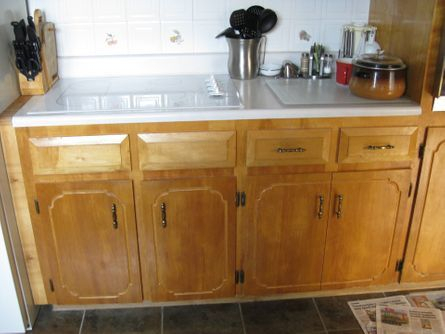 This kitchen is in excellent condition to reface because the cabinets are being held together by a solid wood frame. In the cabinet industry a frame kitchen is considered an upgrade because of the extra material used to construct it. If you are happy with the basic layout then refacing is worth the consideration. Keep in mind drawer boxes can be replaced with newer drawer tracks, adjustable shelves and roll outs can be made to fit. Some modifications can be done to alter the layout. Also you may want to consider painting the inside of the cabinets. Shelving can often be replaced to reduce the amount of painting required.